Mark your calendars folks! Time to start thinking about ice! A little Ice Fest throwback on this rainy morning. Fear not, winter is on its way, 15 inches of snow reported on Mount Washington overnight! Nick Yardley sent along this blast from the past, check out the speaker line up back in 1996! Who would you like to see at Ice Fest this year? Hey folks! This year's non-profit beneficiary will be The Access Fund! Check out our blog today to read about the work they are doing right here in the valley with some great partner groups to make sure we can all continue getting outside in the places we love. Friday night's silent auction will be full of awesome gear and goodies, and members even get a discount at the door on Friday night! Our friends at the Mount Washington Avalanche Center, and the White Mountain Avalanche Education Fund, are hosting their annual Snow Science Workshop tomorrow, November 3. Check out our blog today for links to sign up for this chance to listen to learn more about the winter world, and the science that can affect your decision making. OR for 2019 Ice Fest! Words in! 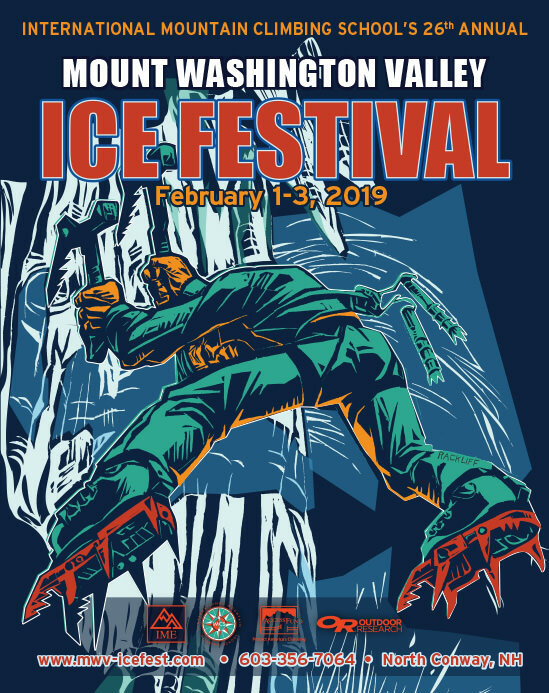 Outdoor Research will be back at the 2019 Mount Washington Valley Ice Fest as the Headlining Sponsor! This means sweet guest guides, killer demo gear and unbelievable support! More details soon, but as the colder temps are sneaking in, keep this company in mind for your kit! Thank you OR, we heart you guys! 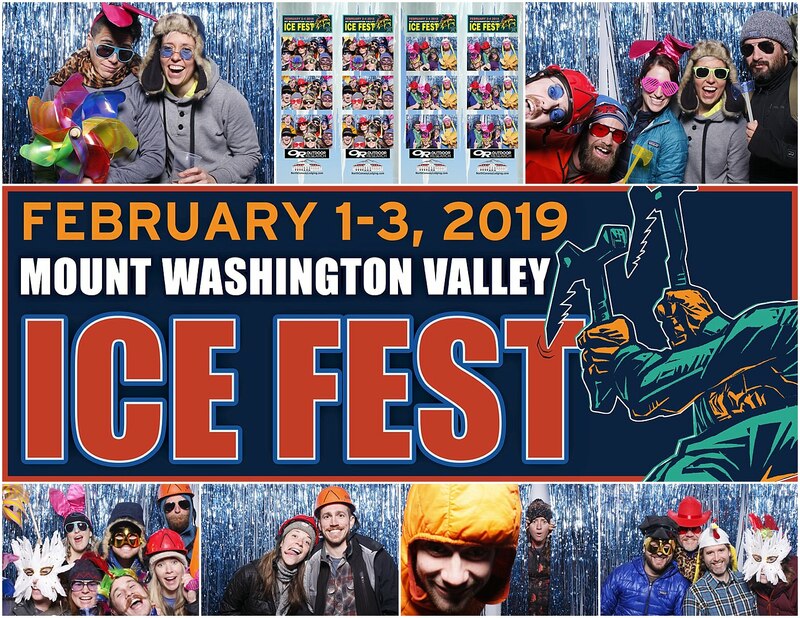 Petzl back for 2019 Ice Fest! We're psyched to announce Petzl is back again for 2019 providing awesome support for Ice Fest and even more awesome gear for everyone to demo! Check out the link below for some awesome Petzl tech tips to get your brain in winter mode, as well as some videos highlighting updated ice tools that will be available this year! Warm welcome back to CAMP and Ian Osteyee! CAMP will not only be sending guest guide Ian Osteyee to guide (check out his clinics if you're into all things scrappy/mixed/thin), but will also be bringing heaps of gear for you to demo. Check out the blog today for more info on CAMP and it's one HUNDRED plus years of history in the outdoor industry (what?! ), and bio info on Ian! Has everyone seen the new edition of Yankee Rock & Ice? The publication was originally put out in 1993 by Laura and Guy Waterman. This year Laura enlisted Michael Wejchert to update the climbing history to bring it up to present day. Its a great read and the update will get you in the mood for winter shenanigans. Lots of Ice Fest friends, past and present! Copies are available at IME and White Birch Books in North Conway!! Ben Mirkin is back at Ice Fest. Nothing like a Professor of Adventure Leadership to provide totally dialed instruction. Ben is a professor, Dad, and guide and lives in the NEK of VT. Welcome back, Ben! Julbo is up on the MWV Ice Fest blog today! Julbo is a long time supporter and we're so psyched they'll be here again to talk eyewear with you all. Click the link below for Julbo's article on Choosing Your High Mountain Sunglasses, as well as information on their REACTIV lenses. Make up your wish list, and anything Santa doesn't get you, you can try on and check out, at Ice Fest!